Hillary Clinton was in Selma, Alabama over the weekend where she was introduced as the “duly elected president.” Then, in front of the largely African-American audience, the failed presidential candidate burst into a phony Southern accent and claimed that racist and white supremacist views are lifted up in the White House. Well, she was made to regret it. You’ll love this. Hillary Clinton’s appearance turned into a real circus. Not only did she make sure she was introduced as the “duly elected president,” but she also burst into a phony Southern accent to pander to the audience from the deep south, and accused the president and his administration of lifting up white supremacists views. 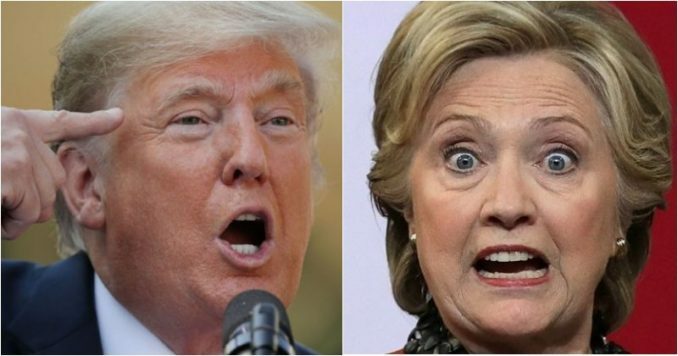 Despite embarrassingly losing the presidential election over two years ago, Clinton still maintains that she’s the “legitimate” President of the United States because Russia “stole” the election from her and helped then-candidate Donald Trump. And that’s why when the 71-year-old former Secretary of State was on hand to receive the International Unity Award this past weekend, she made sure her good buddy, Senator Hank Sanders, introduced her to the crowd as the duly elected president. But that’s not all that happened at this bizarre event. Hillary was in rare form in front of the mostly African-American audience, and she burst into this fake Southern accent. Yes, the wife of Bill Clinton has done this a few times, but it is such a slap in the face to the black community you’d think someone would call her out for pandering to them. “Another commonality that Rose and I have: comin’ down to Dothan, Alabama in the early 1970’s to go undercover to gather evidence about a white segregated academy in an effort to deny it and others like it federal tax exemption,” she said moments later with a Southern drawl. Then, she invoked failed Georgia gubernatorial candidate Stacey Abrams to the mostly black audience. Quoting Abrams, Clinton used a folksy tone. “She said, look, I can’t go back and win 2018, but we can win 2020 and 2022 and every election going into the future,” Hillary said. Well, Americans weighed in on Hillary’s antics, and she clearly wasn’t fooling anyone. “Hillary has alot of damn GALL to say she supports the Rule of Law. I was so happy Hillary lost the election in 2016 she would have given away the USA to whoever had the most $$. Hillary cheats, lies and that laugh she has is EVIL! BIGGEST SORE LOSER THERE EVER WAS! !” said Victor Williams. Hillary has allot of damn GALL to say she supports the Rule of Law. I was so happy Hillary lost the election in 2016 she would have given away the USA to who ever had the most $$. Hillary, cheats. lies and that laugh she has is EVIL! BIGGEST SORE LOSER THERE EVER WAS!! She says: “And make no mistake, we are living through a full-fledged crisis in our democracy”, and I agree…..she’s still out of jail and be given “awards”!!! Hillary Clinton is like a bad penny that keeps turning up. But one thing we can ascertain by her pandering and propaganda is the new underlying talking point: voter suppression. The Democrats are laying the groundwork to register millions, and we bet many of those shouldn’t be voting at all. The failed presidential candidate can’t get over the fact that she lost fair and square. The Democrats can’t get over it either. Now, Hillary will be out more and more calling herself the “duly elected president.” They want people to think Trump won unfairly, and that’s why patriots must fight back and squash Hillary and her lies wherever she goes.